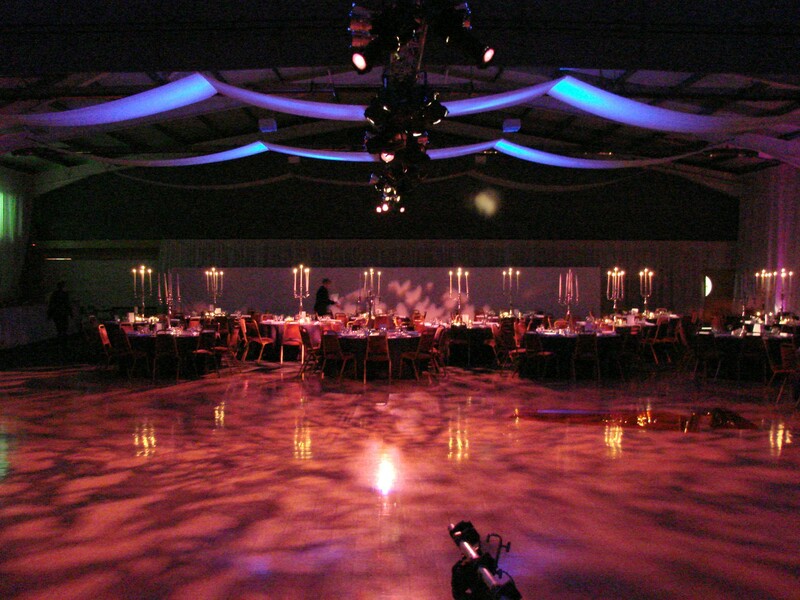 If you are looking for a romantic Scottish Wedding, look no further than the Borders Events Centre in the Scottish Borders. The Springwood Pavilion at the Border Union Showground, is a large multi-purpose event space set within beautifully maintained parkland with ample parking. At 1,000 sqm, there is enough space for reception, dining, dancing, chill out zones and more! Our maximum capacity for dinner and dancing would be 450 guests. The wonderful thing about our wedding venue is that it is a blank canvas for you to style completely to compliment your tastes. We have our own drapes, chair covers and tie-backs that you are welcome to hire, alternatively we can recommend wedding stylists who can transform the hall in spectacular fashion. Whether you have your wedding ceremony with us or at a local church, the Borders Events Centre is ideally set up for your big day. Guests will enter through the large, light entrance hall, can be welcomed at the door with a welcome drink before being seated for their dinner before dancing the night away on our 320sqm wooden dance floor (or hire in one to suit). The BEC is just a 5 minute walk from the pretty, historic town of Kelso and its hotels and B&Bs so guests do not have far to go from dance floor to bed! Travel wise, the Borders Events Centre is located just an hour’s drive from Edinburgh, 90 minutes from Newcastle and Carlisle. Our nearest train stations are Berwick-upon-Tweed and Tweedbank in Galashiels.